Home Insecurity: When will your alarm system stop working? Changes in cell phone towers may put home security systems at risk. 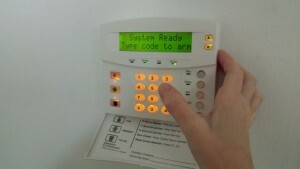 If you have a home alarm system, security experts say your system could soon be at risk because of cell phone service. According to experts, your safety could be in jeopardy because old cell towers are being deactivated. When emergencies happen, you count on your alarm system to keep you safe. But there is growing concern your system could fail when you need it most. Security experts are sounding the alarm about the deactivation of 2G towers. Those towers are used to communicate with many home security systems. The towers are also used to operate cell phones. With the demand for better and faster service, phone companies are moving away from 2G to 3G and 4G towers. No 2G means systems operating on them will not be able to communicate with alarm companies if there’s a problem. All 2G users will need an updated communication box. If you have an alarm system, this may all sound a bit scary, so we wanted to know just how concerned should you be. The experts we talked to say while you shouldn’t panic, this is a reason to contact your alarm company to make sure it is making the necessary changes to keep you safe. “No one knows when the tower has gone out until it happens. So from a burglar’s point of view, it is not like you are going to sit around and say, ‘Oh gee, this section of town or this block, doesn’t have any alarm service. I will go break into those people’s houses,'” said Wayne Boggs, another CEO for an alarm company. Boggs says most in the industry are aware of the changes and are alerting customers. Boggs says if you have an alarm system, you don’t have to wait until you get a notice about the changes to take action. “They really need to be proactive so they don’t get stuck without protection during a few days or a week maybe, from the time their tower goes to sleep, until they get the change,” he said. Boggs says landline users won’t be impacted, but as technology evolves, eventually all systems will make the switch. It’s a sign of the times. “Now an alarm system is like an iPhone. You buy it, you use it and you make some changes after two or three years,” Boggs explained. Experts say consumers should know if their alarm system communicates through a cell tower. If you don’t know, ask your alarm provider. The new changes mean consumers will see an added cost. You will have to check with your alarm company for pricing. All 2G towers are expected to be deactivated by the end of 2016.